Copy of Achy? Moody? Experience Inflammation all too often? 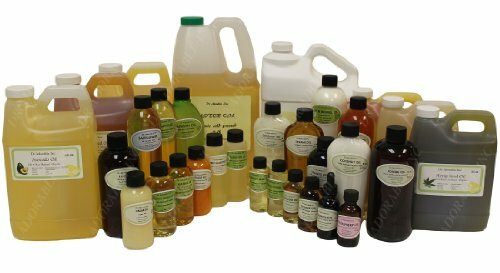 Check first the HEALTHY Oil you are consuming! Q: MO - I stopped eating packaged foods that have Trans Fats and I am using Vegetable Oil for everything.... I am still experiencing inflammation; actually maybe even more!?!.. Any thoughts? A: Yes. First some unfortunate news when it comes Trans Fats in packaged foods. It is not as straight forward as it should be. Just because a packaged food has 0 Trans Fats on it's nutrition label does not mean there are no Trans Fats. I KNOW really frustrating. Not at all helpful for KNOWing how to Care for ourCELL'ves let alone any little ones depending on us for their CELLf Care. We read the labels and believe we are feeding our children what they need. KNOWing about Good Fats, Hidden Fats and Bad Fats is crucial these days when our families use soooo many packaged 'foods'. I found an excellent Youtube video that I have recommended a lot. It is good at explaining the packaged label conundrum. Plus it gives a quick explanation with visual of fat molecules. This helps make sense as to why the polyunsaturated Vegetable oils touted as being healthy for us can cause inflammation. Their ease of twisting their shape when exposed to heat; quick rancidity means they can be prime contributors to negative implications on our CELLular Wellness. What is the negative? Inflammation. Rancid fats have been implicated in increased inflammation: "increased inflammation; implicated in increased rates of heart disease, atherosclerosis and are carcinogenic (cancer causing)"1; so we want to avoid polyunsaturated fats that are exposed to HAL. Heat, Air, Light. I point out parts in the TED Ed video I find valuable to help us think through how it relates to our CELL'f Care. I will wrap up the post with my favorite oils to use; that work well for my family and point you toward a guide or two that are helpful references to have handy. If you find the information helpful please share it with others. The more interest there is in CELL'f Care the more 'norm' it will become. And we will all be better off. 3. " a more important type of difference is the type of bond between the carbon atoms". Here is a screen shot from the video showing 3 fatty acid chains off of 3 glycerol groups to refer to. See where there are 2 bonds between the carbon in the bottom 2 fatty acid chains that double bond can twist. A single bond saturated fat does not twist. This is why " a more important type of difference (between different fats) is the type of bond between the carbon atoms". You see what is going on here. 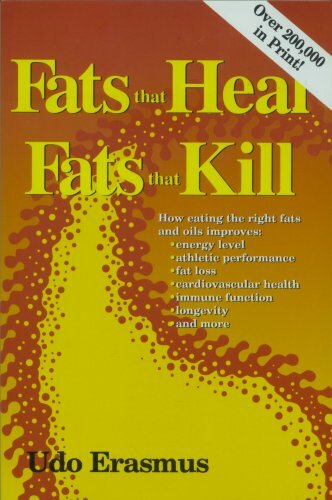 We have been lead to believe over the past decades that the Saturated fat was enemy number 1 to our wellness. And the reality is we do not need to worry about saturated fats when it comes to HAL. (causing a twist from a cis to a trans position) Trans equating to the 'trans' fat you KNOW we should avoid. We do, on the other hand, need to pay close attention to HAL in unsaturated fats. 4. "fatty acids with only single bonds are called saturated (1min32sec)(BOLD added) those with one or more bonds are called UNsaturated. For saturated fats the story pretty much ends there". Great. Good sources of saturated fats are good for you. The only concern is consumption in excess. "As it turns out" They are not implicated; do not negatively impact - weight, cholesterol or heart disease. Applicable to our daily lives: we can and should consume good sources of saturated fat for the well being of ourCELL'ves. This is especially true for our children; their developing Body and Brains. Another interesting phrase "Saturated fats are bad for you in excess". I point this out because the body uses Good Saturated fats - like those from excellent sources of say grass fed meat. 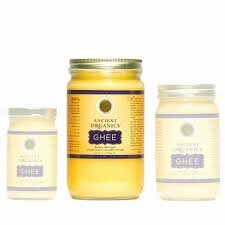 Ghee from pasture, grass fed animals... If we avoid consuming or avoid giving our children the amount of good saturated fat needed for CELLular wellness our wellness will be sub optimal. Saturated fat is used in the Cell membrane, is vital in the health of skin, nervous system, lungs, BRAIN....to name just a few users! If you are interested in more about how our body needs and uses saturated fat. How it is necessary for CELLf Care visit the post: Good Sources of Saturated Fat: The GOOD it does Our Body, Our CELLs and How to Choose What to USE! Alright we KNOW Good Sources of Saturated Fats are good for CELL'f Care. We do not need to worry about negative consequences of consuming it as long as we avoid excess. 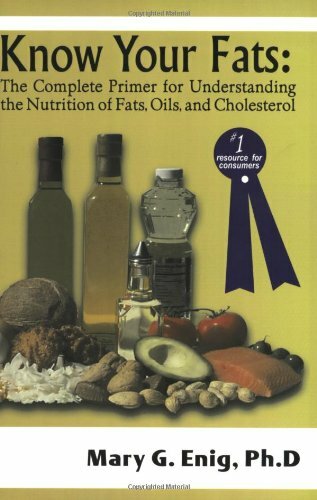 Another plus: Good sources of Saturated fat; because of it's single bond; is Stable. That is why the video says "...saturated fats have single bonds and its story pretty much ends there." That is a big deal. Stable can withstand higher heat. That is why is is a better choice for cooking. Smoke points give us a guideline to help us keep from creating pro-inflammatory meals. The more Saturated the more Stable the higher the smoke point without damage. 5. "most unsaturated fats are good for you" Again interesting choice of words. I point this out because saturated fats are good for you too, are important in the diet as well. The largest concern is over consumption and that is certainly in our control. I would have liked to have heard Saturated fats are good for you EXCEPT in excess. It would have been a nicer representation for the viewer still concerned about eating them. ok onward...the video goes on to point out: Unsaturated fats aregood for you BUT because of the double bonds are less stable and are quicker to cause our body issues. I believe that is an important thing to KNOW when it comes to CELLf Care. Here is a screen shot showing how a double bond can 'twist'. cis on the left means the SHAPE is the way our body would like to get and use the GOOD Unsaturated Fats. You can see the double bonds between the 2 carbons, then you can notice 2 H are below and 2 C's are above. When the H's are on the same side and the C's on same side the shape is recognizable and this is useful fat for the body to use. cis shaped unsaturated fats= useful (Except when the ratio of Unsaturated fat is off but that is another video. The point is just like saturated fats there is an excess issue to pay attention to. You don't NEED to know any of this carbon, hydrogen...in detail but it is helpful to understand that at the double bond - if HAL (Heat, Light, Air) negatively impact the unsaturated fat that the shape of cis takes on the shape of TRANS; you now have negative impact on the body. Repeat: The TRANS shape of unsaturated fats has negative impact on our body. Because of this we need to be aware of how to choose and care for our unsaturated fats for CELLf Care. Here is what gets confusing for my clients-- if saturated fats are good for you (except as we KNOW in excess) because they are stable and don't easily get rancid then how is that really different than an Unsaturated fat that is in the shape of TRANS? They go back to the similarities that"trans fats are stable, won't go rancid, create a texture of food in a way that NO other fats can" As the video points out it is the SHAPE. And the Shape is not useful to the body therefore "THEY ARE TERRIBLE for your health." 1-Good sources of Saturated fats are GOOD for us. The only worry- Saturated Fat is only bad in excess. BUT REMEMBER- a deficiency of Saturated fat is also bad for us. What to do? Include good sources of saturated fat in your nutrition. Consider using the Saturated fats for cooking because Saturated = 1 bond. Stable (S for S). 2- Good sources of Unsaturated fats are also good for us. We need to KNOW they have 1or more double bonds. The double bonds are either in cis form which our body recognizes and uses or TRANS shape which is "TERRIBLE for our body". What to do? Know your source of unsaturated fats. The more unsaturated the more double bonds- the easier it is to alter...less stable. UNsaturated can be UNstable. Sensitive to HAL Heat Air Light. 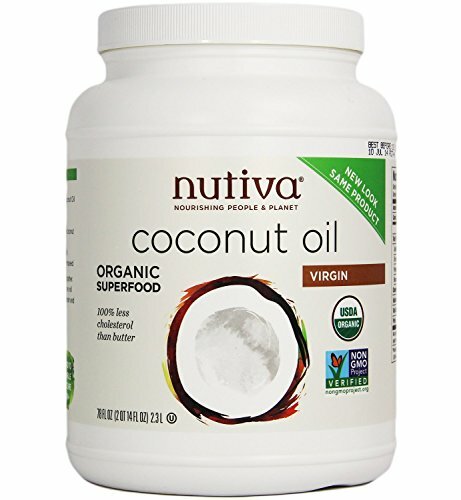 Sharing with you what my family uses: Ancient Organics Ghee on everything ;-); Nutiva Coconut Oil to cook with: Daily. 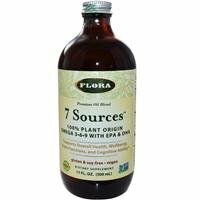 Floras 7 Sources (Gluten/Soy Free) as supplement and salad dressing base. Organic Rice Bran Oil in our Baby Deep Fryer that limits the upper temperature maybe once every month or two. Do you have safe 'Favorites'? Share over on mo-well facebook page. 3 FAT take aways for CELLf Care. 3. EAT more Good Sources of Omega 3 Unsaturated Fat than Good Omega 6's. The ratio of Unsaturated Omega 6 and Omega 3's is key in cellular wellness. Our tendency is to have much, much, much, more Omega 6 to Omega 3. Skip your high Omega 6 polyunsaturated Soybean oil; Corn oil; Safflower oil. Remember to balance all the good Omega 6 fats from good sources of nuts with added Omega 3's. Increase the higher in Omega 3 Walnut; Flax seed as mixtures with your mono-saturates listed above to make lovely salad dressings. The closer your unsaturated Omega 6 and Omega 3 numbers are the less inflammation you will experience. Those interested in in-depth fat info. I have used Mary Enig information for decades. Know your Fats. 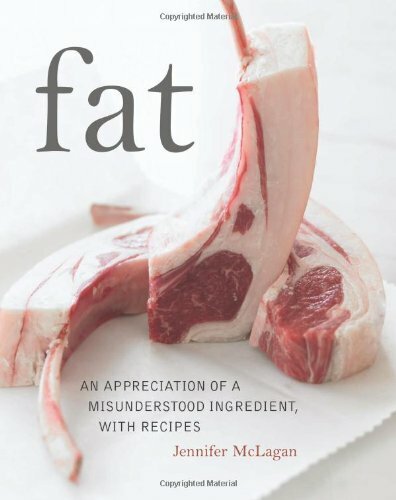 FAT An appreciation of a Misunderstood Ingredient I used when I first began using more saturated fat in my families Nutrition. 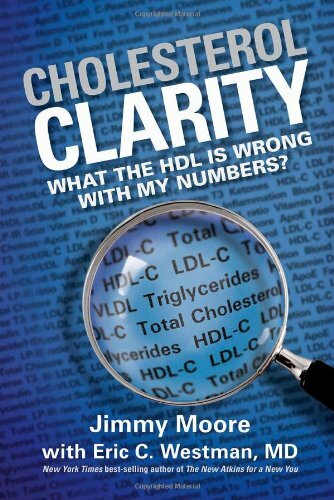 Cholesterol Clarity I have had multiple clients recommend it. 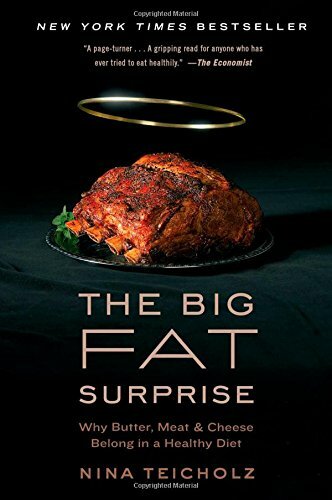 The Big Fat Surprise is a good over view of how "today's diet" the poor recommendations ruining so many lives with full backing of the 'trained medical community' came to be the reality of today's ramifications. How the misunderstanding and misuse of cholesterol measurements often drives treatments and diet changes that are counterproductive. Creating more CELLf Harm than Care. She points out overuse of vegetable oils in restaurants, especially for deep-frying, which can be especially bad for our health. Then there is Fats that Heal Fats that Kill: This for the person who wants to get into the science for a thorough understanding of the fat molecules. DO you have a recommendation? Let each other KNOW below. 1. Lobo, V. et al. “Free Radicals, Antioxidants and Functional Foods: Impact on Human Health.” Pharmacognosy Reviews 4.8 (2010): 118–126. PMC. Web. 2 June 2015.